Download the template from the link below, so that you dont have to measure anything and cut the pieces directly. 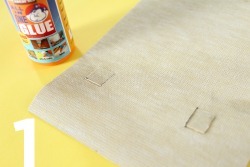 Insert the small leather strip through the slits made and apply glue to the back part. 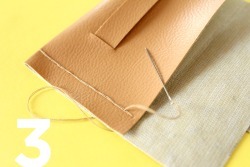 Sew the closure on to the flap at the indicated area. Fold the body and sew its sides. 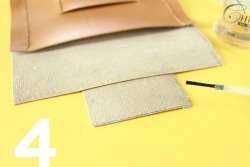 Apply clear nail polish on the edges of the flap and closure to prevent it from fraying. This may be optional depending on the leather used. Optional: Glue on the excess sides or trim it.